Ole! Are you ready to celebrate Cinco de Mayo? I have always loved this holiday because it falls right around the time of my birthday! 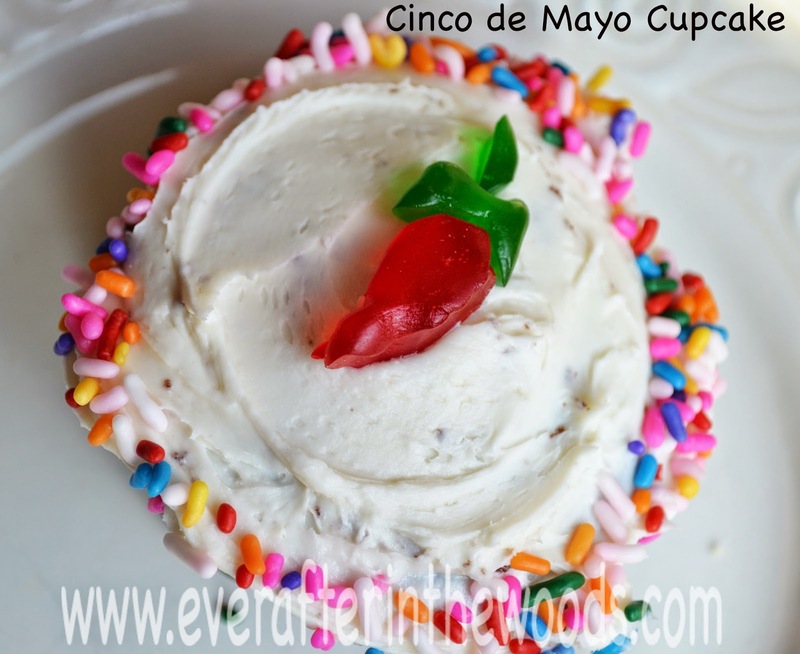 I came up with these cute Jalapeño cupcakes and I hope you will try to make these for your family this May. Bake cupcakes and allow to cool completely. Cut a red and green fruit snacks into the shape of a jalapeño pepper. Add sprinkles to the outside edge of the cupcakes.